"I believe that people over 50 can achieve a sense of well being they never thought possible"
"I believe that people over 50 can achieve a sense of well-being they never thought possible"
Fitness after 50 in Syracuse, New York, customizes your fitness program so it’s safe, effective, and even enjoyable, regardless of your age and gender. Approaching 80 years of age, Fred Wilson specializes in helping middle-aged and older persons get the most out of their later years. When I was diagnosed with breast cancer two years ago, I was afraid I would lose the ability to do the things I love such as running and biking. The more I learned about my diagnosis, my surgery, my treatment and recovery, the more I learned the importance of exercise after cancer treatments. Exercise has always been a positive way for me to deal with stress. Throughout this journey, I have learned how valuable it is to have the opportunity to exercise and to have a certified cancer fitness trainer work with me. Fred Wilson has developed and implemented a program to specifically address the areas I was concerned with after my treatments. He has a new exercise program for me each week that builds upon exercises and strength training from previous weeks. He is very knowledgeable not only about the fitness training programs but about healthy living suggestions as well. Fred truly makes the weekly workout sessions fun and he is such a positive person who encourages me to keep reaching my goals. He checks in with me after each workout session to make sure that I am feeling well! I would encourage anyone who would like to participate in an excellent cancer fitness training program to contact Fred Wilson. He will make a positive impact upon your healthy lifestyle and well-being after a cancer diagnosis. When I was diagnosed with breast cancer two years ago, I was afraid I would lose the ability to do the things I love such as running and biking. The more I learned about my diagnosis, my surgery, my treatment and recovery, the more I learned the importance of exercise after cancer treatments. Exercise has always been a positive way for me to deal with stress. Throughout this journey, I have learned how valuable it is to have the opportunity to exercise and to have a certified cancer fitness trainer work with me. Fred Wilson has developed and implemented a program to specifically address the areas I was concerned with after my treatments. He has a new exercise program for me each week that builds upon exercises and strength training from previous weeks. He is very knowledgeable not only about the fitness training programs but about healthy living suggestions as well. Fred truly makes the weekly workout sessions fun and he is such a positive person who encourages me to keep reaching my goals. He checks in with me after each workout session to make sure that I am feeling well! 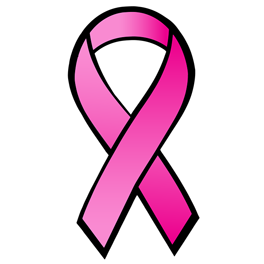 I would encourage anyone who would like to participate in an excellent cancer fitness training program to contact Fred Wilson. He will make a positive impact upon your healthy lifestyle and well-being after a cancer diagnosis. I’ve worked with Fred Wilson for several weeks now. I’ve worked with Fred Wilson for several weeks now. In that time, I have become much stronger and more confident about myself than when I started. Fred is very much on top of things. He puts together a plan according to my ability at the time, and we work on building up my strength step by step. He monitors my progress and genuinely cares for how I am feeling at the beginning and end of each training session. If something is working well, we stick to it, if something isn't working just right, he changes it to make sure that the workout is tailored to my needs. I consider myself very fortunate to have been guided to Fred by a friend of mine and I HIGHLY recommend working with him to anyone who is serious about their fitness and health. Congratulations for finding Mr. Fred Wilson, and Happy Training! health. Until I met Fred Wilson, I thought I was too old and out of shape to strengthen my swimming skills and develop a workout routine. Now, I am feeling stronger and more confident in the water. with Fred and get fit! After retiring from my career as a school principal, I decided the time was right to work on my physical health. Until I met Fred Wilson, I thought I was too old and out of shape to strengthen my swimming skills and develop a workout routine. Now, I am feeling stronger and more confident in the water. Fred has a unique way of teaching, coaching and pushing me to do things I did not feel were possible. He can break down every exercise and swimming stroke into small manageable parts. I am now putting everything together and working out and swimming 4 to 5 times per week. If a day goes by and I have not hit the gym or pool, I feel lost. I cannot believe the skills I have learned in a short period of time working with Fred. I am rarely bothered by my rheumatoid arthritis anymore. I would strongly suggest to anyone, no matter your level of fitness, to get involved with Fred and get fit! 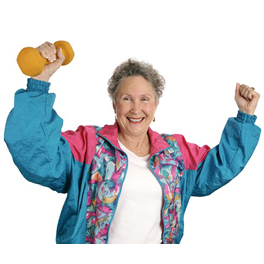 I hired Fred to come to my home and teach me some exercises to help strengthen my muscles. He was very professional and gave me some great ideas of how to improve my overall health with exercise. I’d recommend him to anyone. 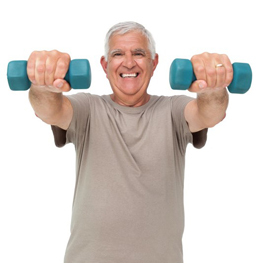 After age 50 people may expect you to become a couch potato with just aches and pains. I’ll show you how to build muscle, reduce those aches and pains, and enjoy life more than ever before. I’ll help you to develop a program that fits your life style with all the health benefits of regular exercise. It takes a few months to see the results but it’s worth every minute of the effort. By being physically active you put money in the bank of time. You’ll look forward to each exercise session and know that on recovery days your body is building muscle, fiber by fiber, and making you stronger and stronger. over the Internet for you. I’ll develop a periodization program that we can modify regularly as you get stronger and stronger! If you want to discuss your fitness and lifestyle goals, call me at 315-559-1662 to arrange an at-home, no-obligation meeting. I’ll be happy to outline an exercise program that suits your current fitness level and lifestyle, and requires little or no equipment. If you already have equipment we can use that, too. 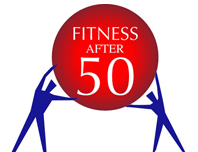 Fitness after 50 is fully covered by general and professional liability insurance.